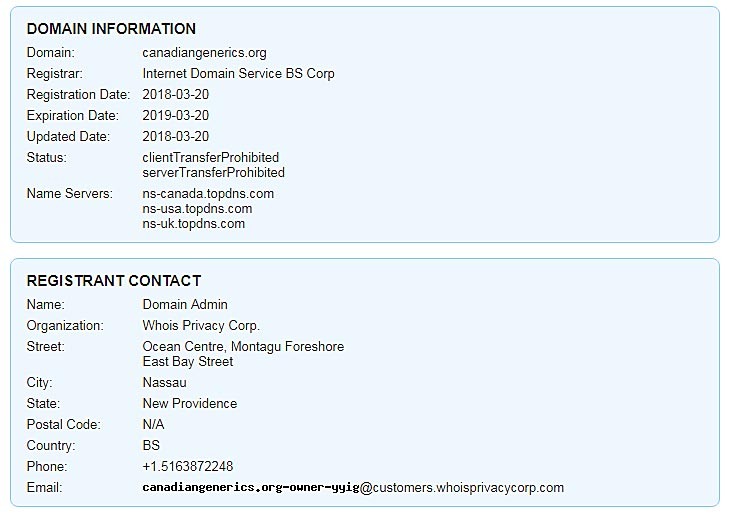 Canandiangenerics.org is an online pharmacy that is allegedly based in Canada. The pharmacy claims to sell genuine generic medicines at prices 70% lower than your local pharmacy. We carried out a thorough assessment of this pharmacy to establish if all these claims are true. Here are the results! 1.8 So what is the cost of drugs on this Site? 2 Is canadiangenerics.org legit or a scam? This website is relatively new as suggested by the age of the domain. It was registered on 2018-03-20, which means that the pharmacy has been operating for only one month. We could not establish the registrant, as the identity of the owner(s) is concealed. 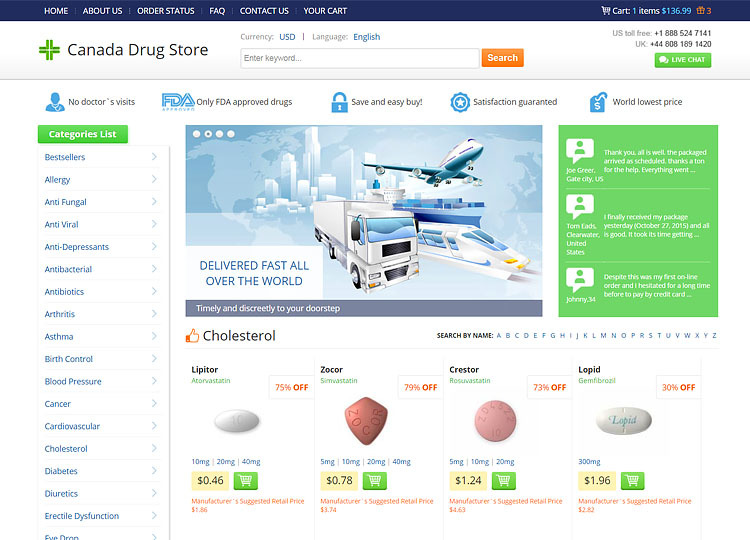 Although the pharmacy claims to operate from Canada, we discovered that this website seems to be hosted in the Bahamas. The website does not have any trust records, and it is therefore very difficult to determine if they are genuine. 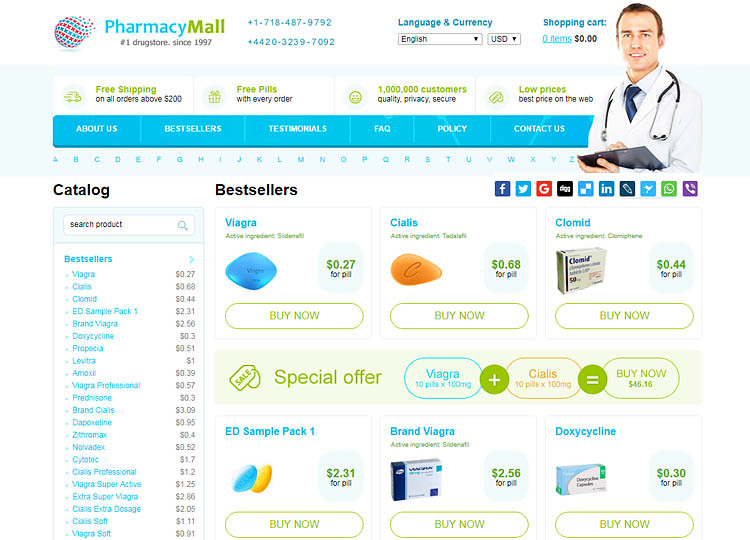 With so many discrepancies about this domain, it is easy to see that this pharmacy is a scam! Despite the fact that this site is only one month old, it is associated with hundreds of suspicious websites. The sites have a similar design and layout, and this means that this site probably belongs to an illegal affiliate program. Most of these mirror websites have a history of online fraud, while others have very low trust ratings. In view of these findings, it is advisable that you stay away from this pharmacy. Details about the company name are very scanty. However, we found out that this pharmacy uses the name “Online Pharmacy”. This name is not only vague, but also fictitious. Such a name does not exist in the Canadian business registry. 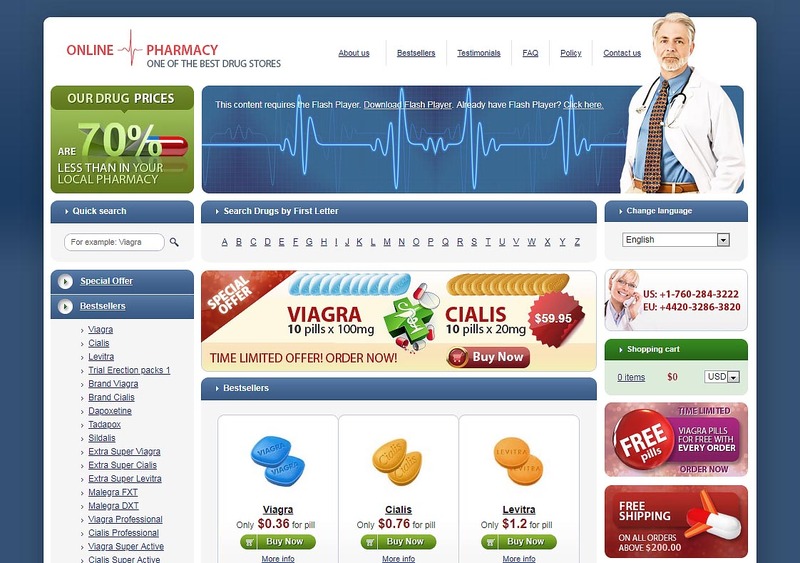 Online pharmacies must comply with various rules and regulations that govern the distribution of safe medications. This pharmacy proudly displays various seals and certifications from CIPA, CPA and MIPA, as a sign of compliance. However, our probe reveals that these seals are. 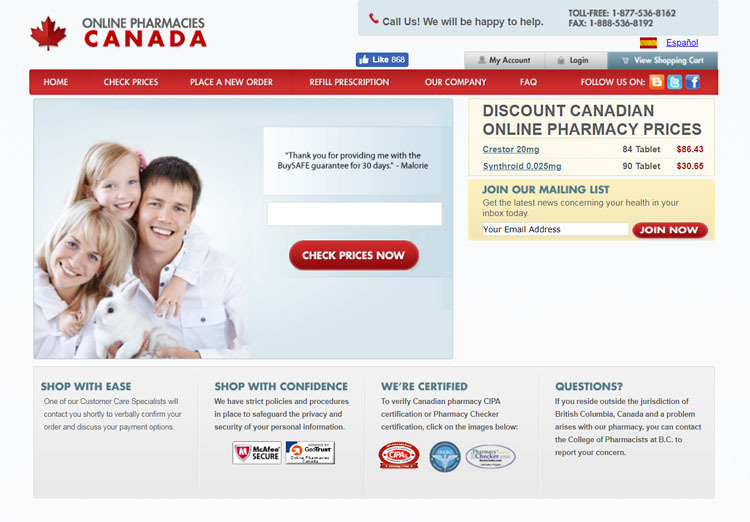 The drugstore does not have any certification or legal approvals.Search results from CIPA.com confirm our fears that this drugstore is not recognized as a Canadian pharmacy as it doesn’t appear in the CIPA database. 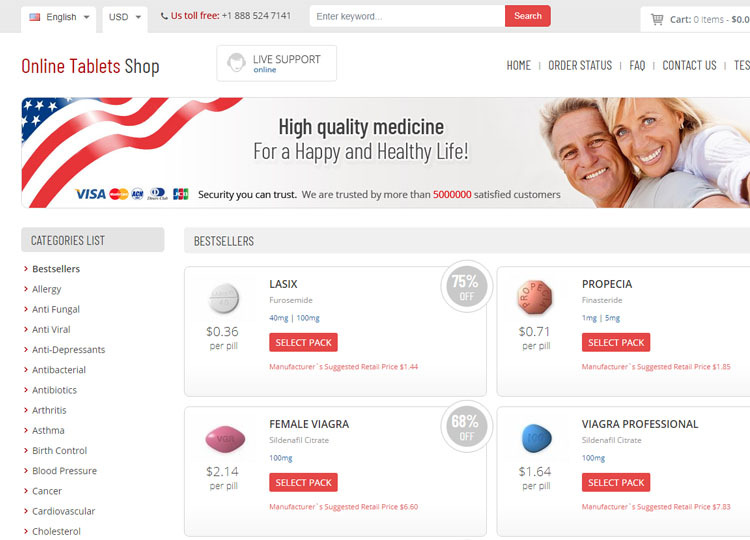 Most rogue pharmacies have a preference for selling sexual health drugs, and this pharmacy is not an exception. However, in a bid to discard their bad image, the pharmacy offers other types of medications e.g. 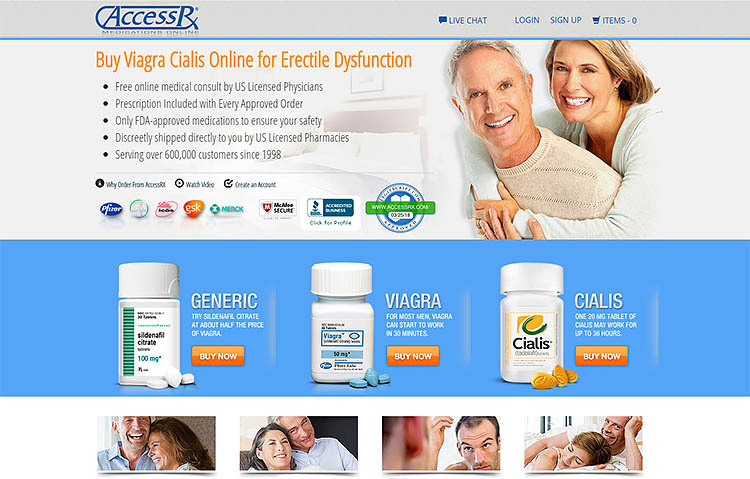 antibiotics and weight loss products. All of the medications available for sale are generic, and they are sourced from Asian countries such as Pakistan and India. Based on historical trends, these Asian countries are notorious when it comes to producing counterfeit medications. The risk of drug poisoning is therefore very high. The pharmacy is not keen on following prescription rules. This means that you can purchase prescription medications and controlled substances without submitting a valid script from a doctor. Selling medications without requiring a prescription for controlled drugs is not only illegal, but also violates federal laws. So what is the cost of drugs on this Site? This pharmacy claims to offer medications at prices 70% lower than conventional street pharmacies. However, we discovered that these claims are not true. 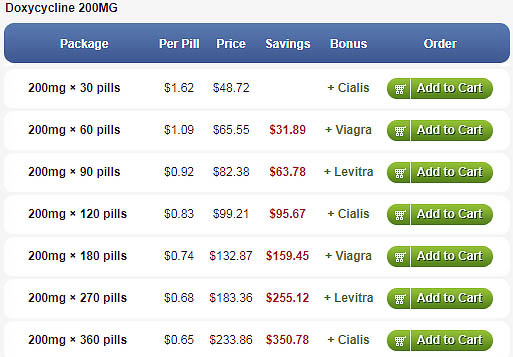 For instance, the prices of common antibiotics are extremely expensive compared to current market rates. For instance, 30 pills of Doxycycline 100 mg cost $37.68… while the usual market rates stand at an average of $21.69 for the same quantity. According to the FAQ section, you can pay your order via American Express, Visa and eChecks only. However, you should avoid using your credit card as this pharmacy does not own an SSL certificate. Your data might be compromised due to lack of secure payment options. The pharmacy offers free shipping on orders above $200. Orders that fall below this amount are chargeable, with shipping costs ranging from $9.95 for standard airmail to $19.95 for Express Mail Service. We did not expect to find testimonials about this site considering the fact that it is less than one month old. However, to our utter surprise, this pharmacy has numerous testimonials. What caught our eyes is that all these testimonials are similar to testimonials found on other mirror websites. This review appears on several other sites associated with this pharmacy. Is canadiangenerics.org legit or a scam? 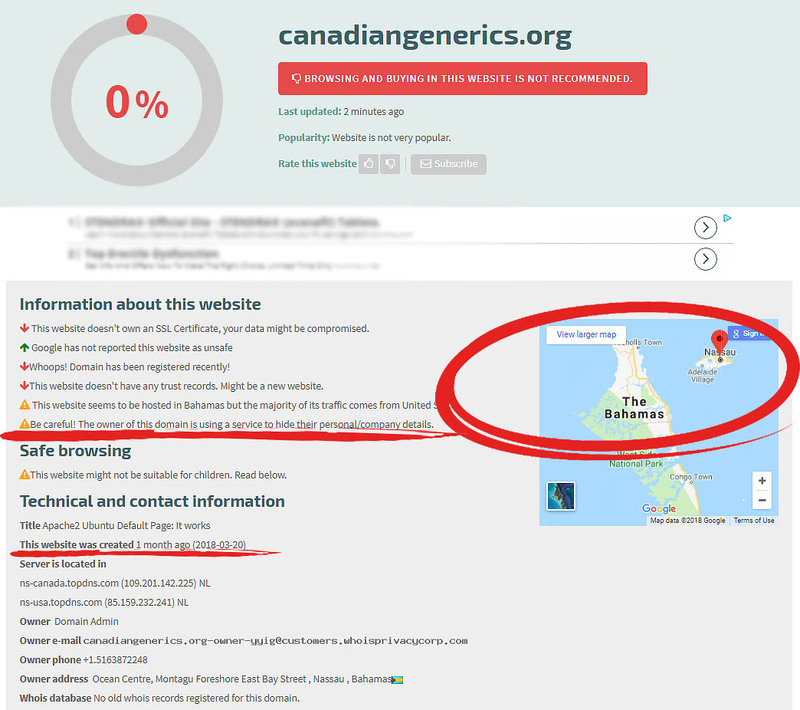 It is clear for everyone to see that canadiangenerics.org is not a legitimate pharmacy. This drugstore is besieged with numerous discrepancies that water down their reputation. To cut the long story short, this pharmacy is a scam and it is not safe to transact on this site. We can therefore give it a 1.2– star rating in the scale 5.